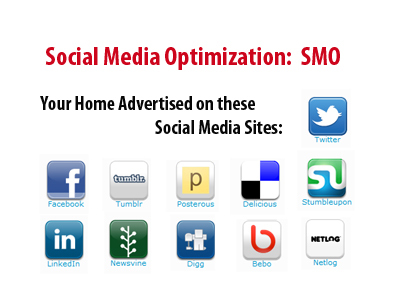 Selling Your Home with Social Media Optimization. 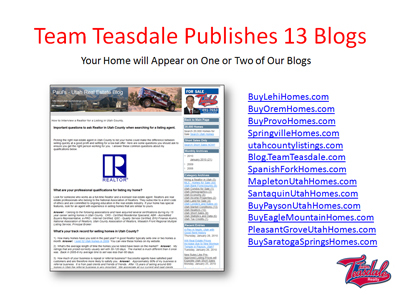 Few Realtors in Utah County use social media to help promote and sell their homes. They either don't understand the power of using social media in selling a home, or they don't want to invest the time. It is very time consuming to publish ads and articles about a home on many different social media sites. However, it works! Team Teasdale Realty has received many leads and helped sell homes through their social media marketing. We have found buyers and listed and sold several homes this year directly from our blogs. For example, we listed and sold a condo in the La Jolla condo complex. We found a cash buyer in Belgium, Europe and sold the condo. A LDS Mission President in Brazil hired us to sell another condo, which we sold. 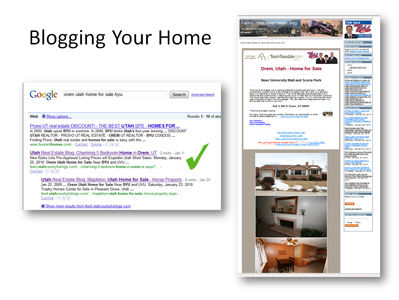 Blogging keywords, like your subdivision name, can be very beneficial. Several photos and your home's virtual tour will appear on our blogs. It is important to give lots of information about your city for those who are not familiar with the cities in Utah County. All of these links return back to our site. We have pages in the ads about the following topics: general information, facts, schools, and sold data. We carefully build these blogs to get maximum optimization in Google. This is where the buyers are surfing!